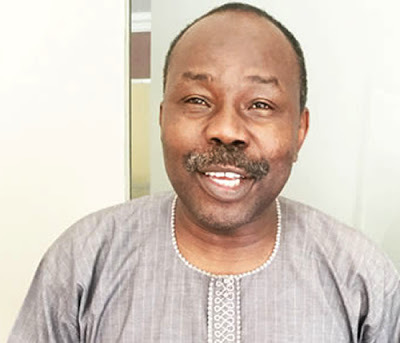 The National Legal Adviser of the ruling All Progressives Congress, Dr. Muiz Banire (SAN), who is being probed by the Economic and Financial Crimes Commission for giving an alleged N500,000 bribe to a judge, has stepped down. In a letter dated November 8, 2016 which he wrote to the APC National Executive Committee through the National Chairman of the party, John Odigie-Oyegun, and copied to President Muhammadu Buhari and Vice-President Yemi Osinbajo, Banire said he was stepping down pending the outcome of the EFCC investigation. He said he was doing so in the interest of the image of the party. The EFCC had on November 3, 2016 questioned Banire in relation to a sum of N500,000 he sometime paid into the account of Justice J.T. Agbadu-Fishim of the National Industrial Court. He was reportedly quizzed for about seven hours in the EFCC office before he was released on an administrative bail while his passport was seized. In his letter to the APC NEC sighted by our correspondent on Monday, Banire said he was offering to step down as the party’s legal adviser to protest his innocence. He also vowed to do everything within the limit of the law to defend himself. Banire said, “For me, this party, our party, and the government which it now leads at the federal level, stands for something beyond individual interest. I see it as the last beacon of hope for our long-suffering people. Whatever is necessary to be done to preserve it and ensure its effectiveness, in order for it to attain and achieve its full potential, must be done. And where that calls for our individual sacrifice we must willingly offer it. Banire, who explained that Justice Agbadu-Fishim was an old colleague of his while lecturing at the University of Lagos and a fellow researcher at the Nigerian Institute of Advanced Legal Studies, said the last contact he had with Agbadu-Fashim was about 14 years before three years ago when he received a text message from Agbadu-Fashim soliciting financial help for the funeral of his mother. Banire said he was not aware that Agbadu-Fishim had become a judge when he sent N500,000 to him. He said he assumed that Agbadu-Fishim was still an employee of the Nigerian Institute of Advanced Legal Studies which he knew him to be.